As the winter season continues, many Nebraskans are looking to the East and wishing for days that are both warmer and longer. The earlier sunset places a premium emphasis on the importance of your home’s exterior lighting. From the driveway to backyard, it’s important to install the perfect mixture of home lighting fixtures to create a nighttime landscape that’s as beautiful as it is functional. The world of modern lighting is full of new advancements and more styles than ever before, making it a challenge for homeowners to find the perfect product to match their budget and lifestyle. Since 1953, The Light Palace has proudly served as your go-to lighting store in Omaha, providing the best residential lighting products and advice to help our community light their homes with pride. Our experienced professionals and 10,000 square foot lighting showroom ensure that the perfect product to match your home’s unique style and budget are in stock and ready for purchase. Modern outdoor lighting is made to be much safer and more efficient than past products. This doesn’t mean, though, that the task of planning your outdoor lighting has gotten any easier! Today, our lighting company will discuss a few helpful tips that may prove handy when going through your own project. When done, be sure to stop by our Omaha lighting store to find the products and advice you need to create an amazing outcome for your home! As always, our theme builds off of having a plan and planning ahead before making any changes to the property. In order to begin planning your outdoor lighting plan, it’s essential to define what your outdoor space will be used for. 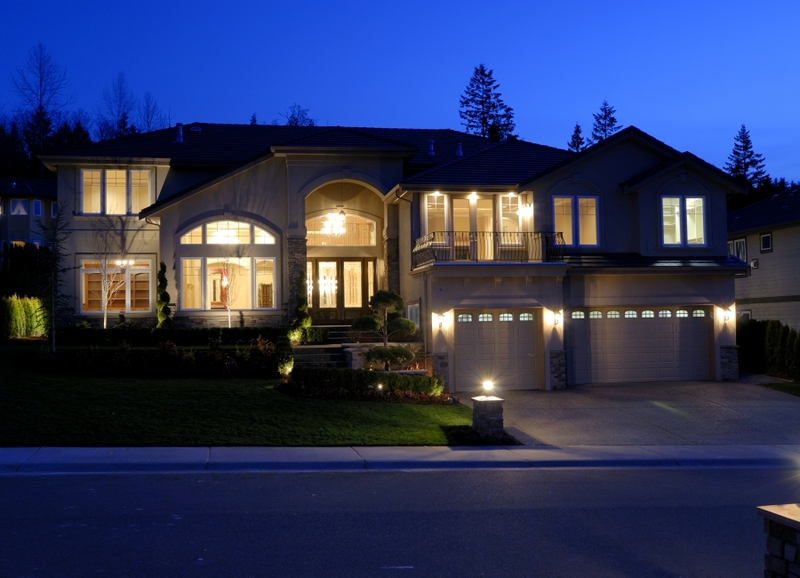 Are there architectural features on your home that you want to highlight at night? Do you have a new patio that you plan to use for entertaining guests on a regular basis? 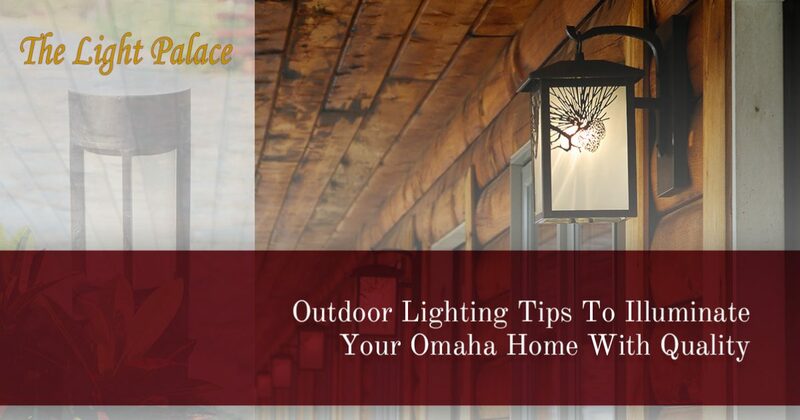 Another important factor to determine before getting to work is the goal of your outdoor lighting project. Some homeowners place a premium focus on security, preventing unauthorized entry in order to keep their property and possessions safe. Other individuals focus on safety, highlighting the hazards that can be present on your wintertime walk from the car to the front door. Planning ahead is essential for giving you the ability to plan creatively with your property. Many homeowners jump into their outdoor lighting project headfirst, failing to realize the full scope of what their yard needs for a fully functional and safe space once the sun goes down. Another benefit of this phase is that you’ll be able to clearly list all of your home’s needs. Ambient lighting, which consists of sweeping lighting options that illuminate your home’s landscape. Task lighting is needed for nighttime activities, whether it’s to light up a workbench for your weekend crafts or a wall light for eating and entertaining. In any case, installing functional lighting products will boost the usability of your property. Accent lighting is a commonly used form for outdoor needs, generally consisting of floodlights and spotlights to highlight interesting property features. Be sure to walk your landscaping to gain a clear picture of all of the lighting that is needed. Many people do this during the day, which while safer overall, doesn’t fully capture the needs of your exterior surfaces. Planning and placing your landscape lighting at night will help to eliminate misplacement mistakes. Being able to accurately identify areas of weakness and problem spots can help to save you time, frustration, and additional trips to your local Omaha lighting store. At the very least, it is essential for you to light up your home’s landscaping to provide illumination for safe travels across the property. Simply parking your car in the driveway and questing for the front door can be risky if safety lights are not present. Be mindful of your traveling paths, steps, entrances, driveways, patios, and more. Wherever foot traffic can be expected at night, plan on installing a lighting fixture. Once you have covered the basics, you can move onto more exciting lighting elements such as spotlights for water features and beautiful landscaping elements. One prevalent problem that plagues homeowners is light pollution, or any issue that is the result of any artificial light source at night. Generally, light pollution consists of utilizing too many outdoor lighting fixtures on your home, creating an intense glare that can wash out the details of your property and obscure your view of the night sky. Light pollution can also source from the direction of your lighting features, whether that light is pouring in through a neighbor’s windows or shining directly into the faces of your property’s guests. This problem can be very debilitating to the final quality of your outdoor lighting project, but our experts can help! We offer advice based on our decades of experience, and our representatives can also provide useful tools for avoiding glare such as shields and guards to deflect light pollution. In the days of old, homeowners had to design their landscape lighting schemes around the weaknesses of standard incandescent bulbs. Today’s consumers now have the choice of investing in LED options for their outdoor lighting needs. These bulbs are more costly up front, yet the long-term benefits make each LED worth every penny. LEDs are durable, safe, and extremely energy efficient. Modern technology has helped to produce products that are better able to withstand the elements, making LED lights a popular choice for both outdoor and indoor lighting. When it comes to finding the residential lighting for your outdoor needs, it pays to plan ahead and utilize expert assistance when needed. The Light Palace is proud to be your go-to lighting store in Omaha, providing Nebraska homes with quality service since 1953. Our expert staff and expansive inventory ensure that you leave our lighting showroom satisfied with the experience. Contact us today for assistance or stop by our store to begin your lighting project!